Well, most of them. Not the Apple Watch. Some of the more popular sports wearables don’t just let you track your fitness, they let other people track you. That’s what Canadian researchers found when they studied fitness-tracking devices from eight manufacturers, along with their companion mobile apps. All the devices studied except for the Apple Watch transmitted a persistent, unique Bluetooth identifier, allowing them to be tracked by the beacons increasingly being used by retail stores and shopping malls to recognize and profile their customers. The revealing devices, the Basis Peak, Fitbit Charge HR, Garmin Vivosmart, Jawbone Up 2, Mio Fuse, Withings Pulse O2 and Xiaomi Mi Band, all make it possible for their wearers to be tracked using Bluetooth even when the device is not paired with or connected to a smartphone, the researchers said. Only the Apple device used a feature of the Bluetooth LE standard to generate changing MAC addresses to prevent tracking. In addition, companion apps for the wearables variously leaked login credentials, transmitted activity tracking information in a way that allowed interception or tampering, or allowed users to submit fake activity tracking information, according to an early draft of the report, “Every Step you Fake: A Comparative Analysis of Fitness Tracker Privacy and Security.” It was published by Canadian nonprofit Open Effect, and researched with help from the Citizen Lab at the Munk School of Global Affairs, University of Toronto. The apps are typically used to gather data from the fitness tracking device and upload it to a central server, where users can analyze their performance and perhaps compare it with that of other device wearers. Using a man-in-the-middle attack, researchers were able to spy on traffic between the apps and the servers for all but two of the apps, Apple’s Watch 2.1 and Intel’s Basis Peak 1.14.0. For the six remaining apps, this allowed them to observe even encrypted data sent via HTTPS. The Canadian researchers analyzed the traffic they observed and determined that the Garmin app used HTTPS only for signup and login, sending all other data in the clear, so that third parties could read, write or delete it. Users of the Jawbone and Withings apps could falsify their fitness records, perhaps allowing them to erase evidence of medical problems or fake their sporting prowess. This is bad news for health insurers, some of which have begun to use fitness tracker data to offer lower premiums, and courts, which have admitted the data as evidence in a number of cases. 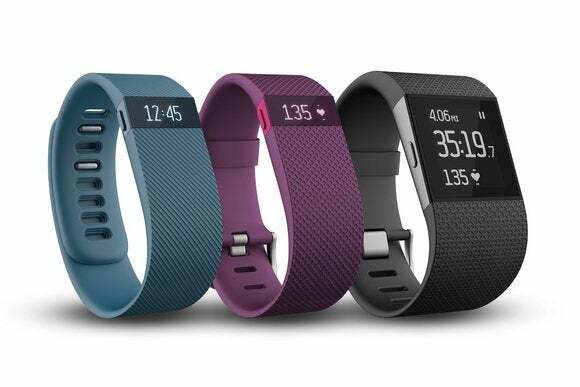 The authors are still working on the parts of their report dealing with policy implications, but noted that the significance of the security flaws depends on the jurisdiction where the fitness trackers are used. While the trackers are not considered medical devices, and thus escape the most stringent aspects of U.S. privacy law, the data they generate is considered personal information under European data protection law and so ought to be protected, the researchers said.